If you have experienced emotional abuse or sexual abuse, the following post could be potentially triggering. You can contact the Crisis Text Line by texting “START” to 741741, or contact The National Sexual Assault Telephone Hotline at 1-800-656-4673. Back in 2013, 2014, I decided to rescue… me. 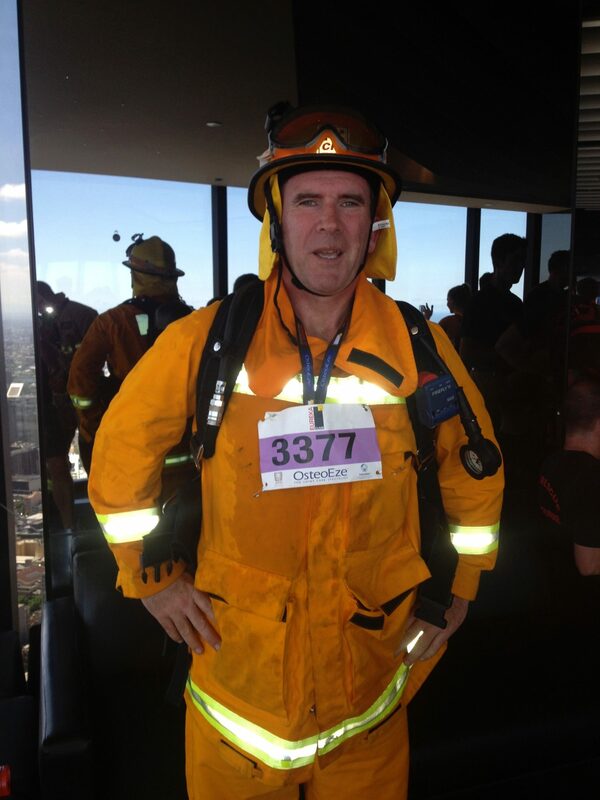 As a volunteer firefighter, I decided to enter a charity stair climb event. Besides the challenge it presented. I also viewed this event as a metaphor to rescue the little boy in me. Strangely, instead of encouragement apart from a handful of people, I had to endure critics who laughed, saying I’d never make it. Their silence was pure gold once crossing the line on the 88th floor of Eureka Tower, Melbourne. After setting off from the ground floor in my firefighting gear, with a breathing apparatus tank on my back, I reached the 50th floor. Involuntary tears ran down my red, sweating, overheated face. Voices and images of my abuse flashed at me as I was forced to rest on the 55th floor. “You’re f***ing useless; you’re a weak f*****; you’re nothing and useless, nothing; yes, you; you’re nothing, just die and do us all a favor,” to mention a few. Fortunately, I’ve learned to withstand these reoccurring, hateful, internal recordings over my 50 years. Suddenly, I remembered: that’s right, the little boy in me is hoping and waiting to be rescued by adult me. Straightening my back up, lifting my head and taking long, slow, deep breaths, I pictured the firemen entering the World Trade Centre with such courage. That was for real and this is a charity event, but at least I could honor them. Like a mirage, the yellow and black signs of the 85th, 86th, 87th floors suddenly flashed past me. I’m going to do it. The flatness of the 88th was bliss. I’m proud of this achievement as a fundraiser, yet it meant so much more for me than a charity event.